There is something magical about a carved pumpkin with a candle glowing inside to celebrate a crisp fall evening. 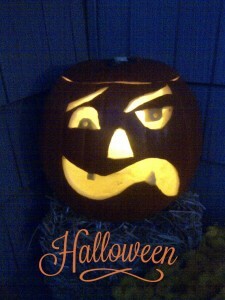 …Especially a Bi-Polar Pumpkin that turns into Pumpkin Pie-Polar. So, is YOUR Pumpkin ready? All photos by Alexandra Sylvia—pretty good job, huh?